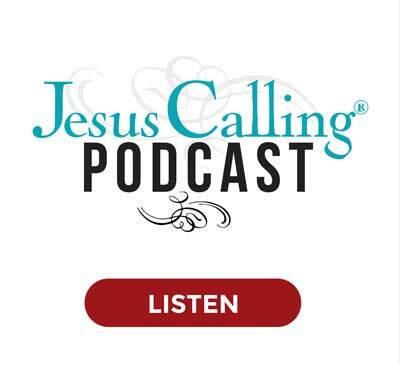 Narration: Welcome to the Jesus Calling Podcast. 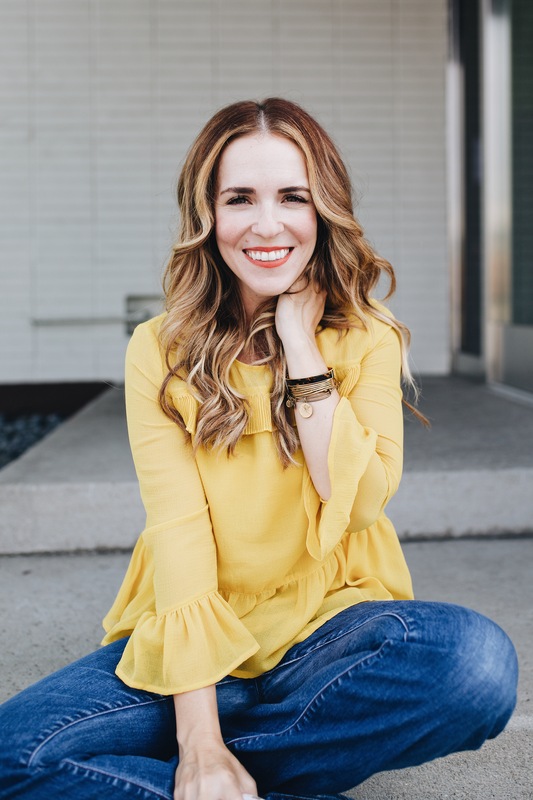 Today we talk with two women whose lives were touched by painful struggles and can now see, despite their pain, that God has a plan to use their stories for good: author Rachel Hollis and cancer activist Gil Shaenzle. 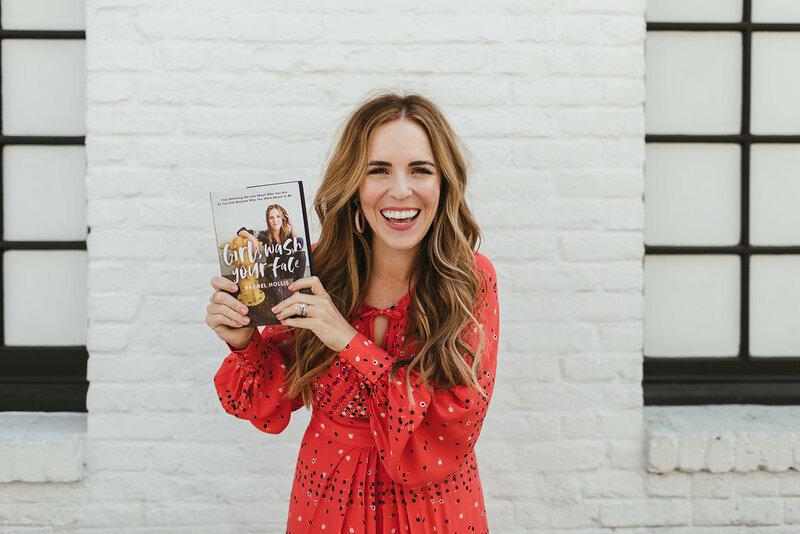 Rachel Hollis is the #1 New York Times bestselling author of Girl, Wash Your Face. 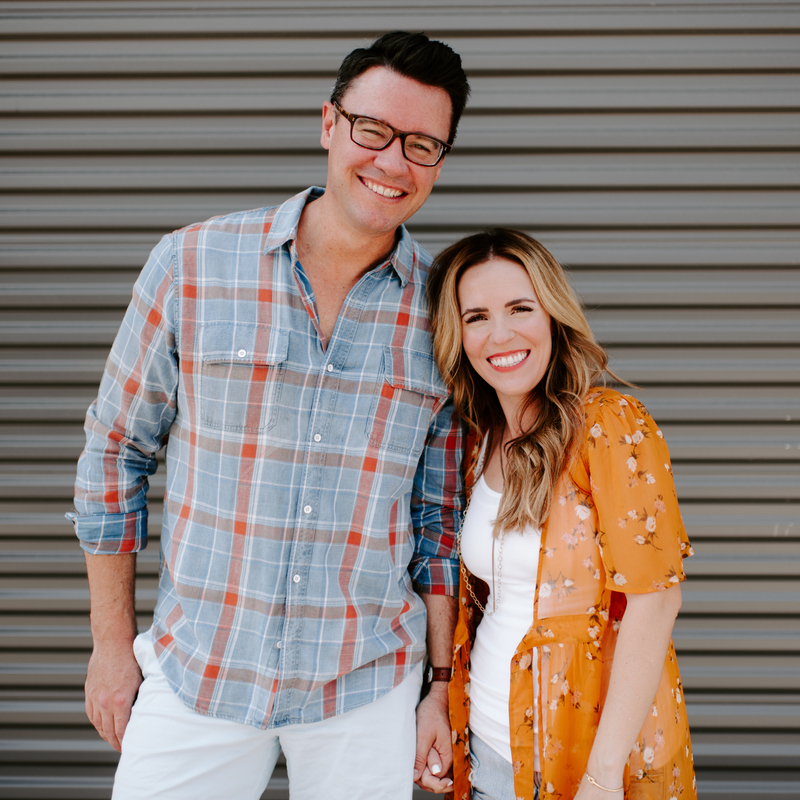 Rachel is a top motivational speaker and CCO of The Hollis Company, a media and lifestyle company, plus a mother of four. 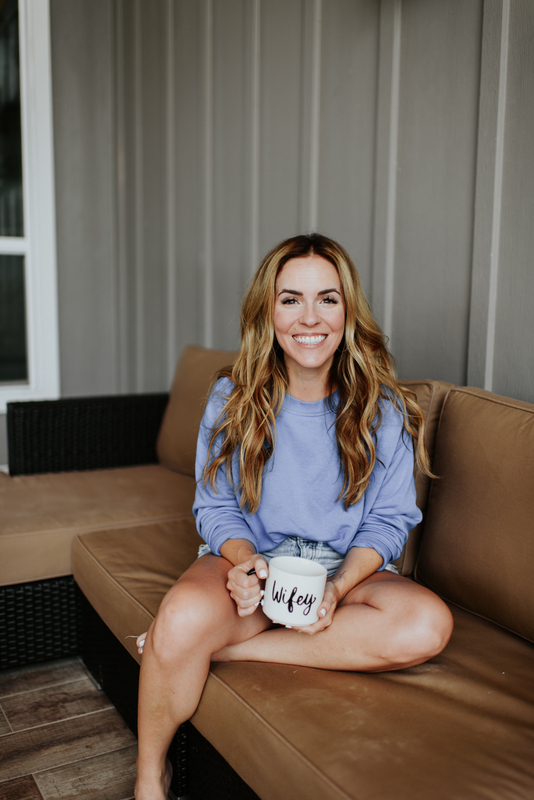 She shares some deeply personal tragedies and triumphs along her journey to success, and the motivation behind why she desires to challenge women to reach for a better version of themselves each day. Rachel: I’m Rachel Hollis. I am an author and lifestyle influencer and a speaker and a mom of four. I do a lot of things. I actually grew up in Bakersfield, California, which is about two hours north of Los Angeles. And it’s very much like you picked up West Texas and dropped it into Southern California. Almost everybody works in agriculture, drives a truck, wears Wranglers—the whole thing. My father was a Pentecostal minister. My grandfather was a Pentecostal minister. So I grew up Pentecostal in a small country church with maybe 200 people attending, and 187 of them were family members. I was the baby of four children. I think as the baby, you are oftentimes attention seeking. So the way that I kind of learned to get attention or noticed was performing. I grew up doing theater. I always wanted to make people laugh. I always wanted to tell stories. My family on both sides is from Oklahoma, have long history, since we’re Irish, of being storytellers. You know, the fish tale that gets bigger and bigger every single time Daddy tells it—that kind of thing. So that church culture was a huge part of my life growing up. I say this in the book, but I didn’t ever think, Oh, there’s only one way to be, because I frankly didn’t even know that there were other kinds of people. It was very homogenous—everybody around me was just like me. Everybody around me was Pentecostal, everybody around me had the same education, same colored skin, same background. And it wasn’t until I came to L.A. that I understood not everybody grew up the way that I grew up as a child. 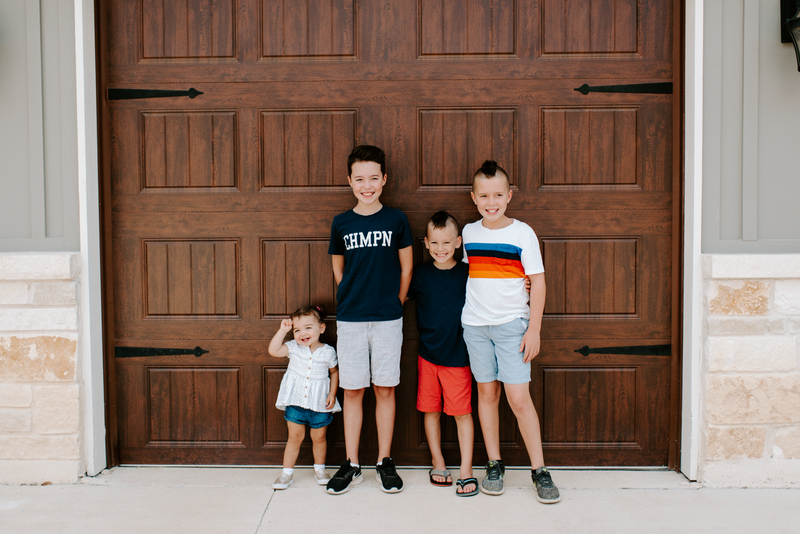 I know a lot of other preachers’ kids, and I would say that 99 percent of us would tell you that oftentimes life appeared wonderful from the outside, and was really hard inside. Oftentimes the preacher spent so much time caring and loving on everybody else’s family that there isn’t a ton leftover for their actual family. So it was really hard in a lot of ways. From a very early age, I just started to daydream about what it would be like to get out, what it would be like to not be in this space. L.A., frankly, was the closest city. It was two hours away from where I grew up—a world away and two hours away. I just started to daydream about a different life, a better life. I can’t fathom my 11-year-old daydreaming of getting out, but I really was from a very early age thinking about that and what that would mean. From the second I got in high school, I took every class I could in order to graduate early. I graduated as a junior. And in retrospect, it just seems absolutely bonkers that a 17-year-old would move to Los Angeles. I couldn’t even sign the lease on my apartment. I had to have my mom sign for me to move. I went to an acting school. I was going to be an actress. It was my big life plan, but I immediately started working. I would go to class in the morning, and then I started working as a part-time assistant in the afternoon, and I got offered a full-time job. I got offered a full-time job at a production company where normally you would have to have a college degree to get the job. I just thought, Well, why in the world would I do four years of school? I’ve been offered the job now. So I just dropped out of school and took the job, and I’ve been working ever since. I think I’ve done really well with the idea of “fake it till you make it.” I think it’s such a funny thing in business. I speak at a lot of business conferences, and it’s a question that you get often. “Do you believe in the idea of ‘fake it till you make it?’” And I do, because I think it’s worked really well for me. But I also have always been smart enough to know when to be quiet, to listen, to ask questions, and to not assume. Part of it is that if you’re going to put yourself in these situations, you have to be open to what you’re going to learn. You kind of have to let the process guide you, versus assuming that you know best. You’re like a 19-year old, you have no idea what you’re talking about. I think I was smart enough to understand, I’ll get myself in the room, but I’m going to be quiet and listen and absorb rather than just assuming that I know best. It takes my breath away to be able to look back at the last decade and just watch how God’s been lining things up. It really is incredible to see. Nothing is lost, and nothing is wasted. Even the idea that I wanted to be an actress when I was little—I did musical theater, and I was on stage a ton—and if you would have asked me five years ago even if that ever come into play in my life again, I would be like, “Absolutely not. What are you talking about?” Now we do this big women’s conference, and being able to be on stage and speak and hold an audience and entertain them and communicate and teach—all of that came from doing plays when I was a little girl. And even the idea that I would’ve never told you that I would have followed my dad’s footsteps at all. We were talking about the conference yesterday and I was like, Oh my gosh, I just am doing a different version of what my dad did. My dad stood on stage and talked to people and tried to help them live a better life. He tried to communicate wisdom and stories from his life to help them do that. I’m like, I’m doing the same thing, but I’m doing it in a secular space. And oh my gosh, this is all lining up. The idea of authenticity is not something, even when I got started as a blogger, that wasn’t popular. People didn’t do that. And I remember the very first thing I ever put on the internet years ago was, I wrote a blog article about having Bell’s Palsy. I’ve had it three times. It’s facial paralysis, and I tend to get it when I’ve been stressed out. And I wrote this piece about it, and I thought it would be helpful to other women—which has always been my goal—and I put a picture of myself with Bell’s Palsy. Half my face is paralyzed. It’s not an attractive photo. That was really the first step. The reaction to that post was the first time that I realized that there was power in sharing your true story, your vulnerability. So that first post then led to more and more of me talking about postpartum depression, or problems in my marriage. I just started to really share the truth of what I was going through. My intention from the very beginning was that I would never share hardship if I couldn’t also share with you what had helped me get through it. I would never talk about a hard thing just to talk about a hard thing—that’s not really my style because I think that doesn’t help anybody. I want the tangible solutions to kind of help me get past this. Years later on a beach in Mexico, I shared a picture of myself in a bikini with my stretch marks and talked about it. It wasn’t intentional and planned out. I just said, Hey, I wear a bikini even though I have all these stretch marks. [My husband] is the only man whose opinion matters. He knows what I went through to get these, and he loves me just the way I am. You can be proud of your body. And I know so many women who would kill for the opportunity to carry three babies. And it went viral. It went all over the world, and it was seen everywhere. And that was just another step into, Man, women are really craving this. They really want to see the truth. They really want to see that. And when Girl, Wash Your Face came out, the response—I’ve never experienced anything like it in my whole life. I was like, Wow, this started on a beach in Mexico three years ago. Because really, the response to that post made me realize how much people were craving this kind of conversation. now come from the struggle wrapped around who a woman should be. That’s where I really struggle with my own identity and who I am, because I was raised in an environment where women should stay home. They should take care of babies—they don’t work. You know, you should be subservient you should be small. You should know you’re a daughter. Just all of that stuff. And I really struggled with that because how do you reconcile this business that I’ve built, and this work that we’re doing, and the platform that I have? How can I believe that God gave me this platform, but also that He doesn’t want me to have it, or talk about it, or be proud of it? For years and years and years, I struggled with this idea. And I had an epiphany maybe four years ago. I had gone to a conference, and I was at the time really struggling with. If you had asked me if we ran into each other at a party and you said like, “What do you do for a job?” I would have said “I’m a blogger,” not that I have a media company. Not that I have a staff, not that we produce these incredible events or do this beautiful work in the lives of women all around the world. I wouldn’t tell you any of that, because I was raised in a space where good girls don’t talk about themselves. So I really struggled with reconciling that for a long time. Then I had this epiphany, and I just thought, Oh my gosh, God made me this way. He made me this way. And if He made me this way, if He put this desire on my heart, how can it be bad? I think it could easily turn bad. You could easily start chasing the wrong things or go after the wrong success. 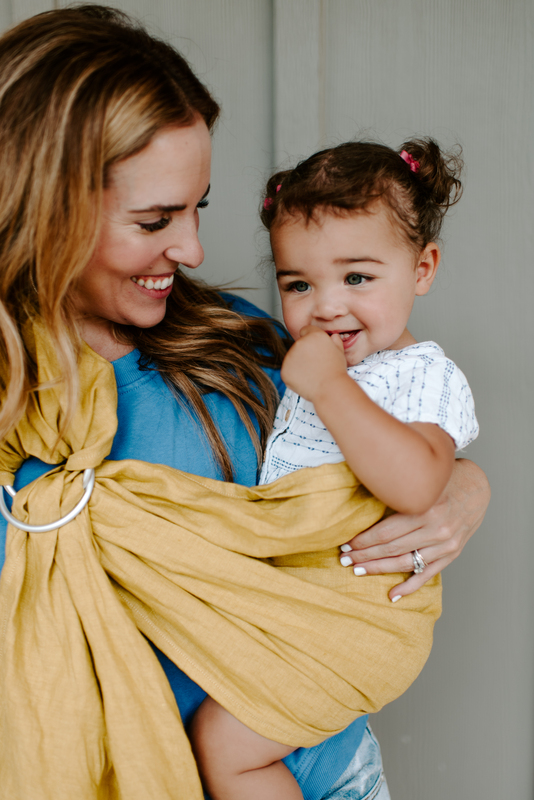 But if God puts a fire in your heart to be a stay-at-home mom, that is beautiful and incredible. Why can’t we say the same thing to women who God put a fire in their heart to own a business, to employ other people, to do missional work, to build comfort—whatever it is? So I think if I’ve struggled with anything it’s that. It was an incredible peace in my life 10 years ago when I truly understood the gospel for the first time. You are loved, and worthy, and enough as you are. It was a life-altering moment for me when I realized not only are you loved, but there was purpose in how you were designed. And even if you aren’t designed exactly like her or her or your mom or your sisters or the other women, there is a reason that you were given this desire in your heart to do something, and it is a travesty when you don’t own that. Our potential is our gift from God. What we’re capable of is our gift from God. And I can’t fathom anything more horrifying than you dying with all your potential left inside of you because you were worried about what other people would think of you stepping into who you’re meant to be. When I set out to write the book, I didn’t know that I was writing lies. I just thought, Let me write about the hardest seasons of my life, and let me talk you through the steps that I took to get past those seasons. When I got about halfway through and I started looking at all of them, I was like, Oh my gosh, they were all lies. None of this was true. All of that plays into the women that we are and if we don’t become self-aware, if we don’t call that out, if we don’t look out in daylight and go, Wait a minute. This isn’t true, this isn’t real. I don’t have to carry this with me for the rest of my life. If we don’t have those moments, it will stay with us. And five years from now, or 10 years from now, or 15 years from now “the devil doesn’t have any new tricks.” Man, it’s going to keep. It’s going to stay with you. So I didn’t set out to write lies. It just so happens that all my hardest times were because of lies. Culturally if the market, if the world, if the media can make you think something is wrong with you, they can get you to buy something. If you’re overweight we got a diet for you. If you are sick, we’ve got a pill you can take. If you’re unhappy, here’s a vacation. Here’s clothes. Here’s makeup if you don’t feel pretty enough. You’ve got something you can do your hair. If we can make you confused, if we can make you unsure, if we can make you hate yourself, then we can sell you things. We are so used to it because we’ve seen it since we were little girls, and our mom saw it before us, and their moms saw it before them. We’ve stopped questioning it. We’ve stopped wondering why women have to look a certain way. Why we have to be a certain size. What jackets are ‘in’ in the spring and this one’s ‘out’. We just accepted that as part of our life, as part of culture. We don’t recognize all the different ways that we’re being bombarded with things that will make us insecure about who we are so that we can buy something. So I feel like we’re sold this stuff from the time that we’re a little girl and because it’s part of our culture. Not only are we getting it from the media, but we start to do it to each other. So we learn that the beautiful woman only looks a certain kind of way. And now, I‘m going to strive to be that kind of woman. And if you’re not, there’s something wrong with you. Or we’re going to learn that, The good moms are only the moms that stay home with their kids and breastfeed and give their kids an organic diet. And if you step outside the parameters of what you know to be true, then there’s something wrong with you, because this makes me feel safe. Because if I can make you feel insecure, if I can make you sure you’ll buy into the straight and narrow. This is what we do. I actually feel like we do this a lot with church, a lot with our denominations. The only right way is our church. This is the only way you’re allowed to worship. This is the only way you’re allowed to love God. And if you step outside of this, I can’t I can’t talk to you, I can’t be friends with you, you’re wrong. You have to cling to that because you’re uncertain and these rules that are in front of you that you’ve decided to accept, that make you feel safe. So we’re seeing it all day every day, in every single way, and you need more people to just stand up and go like, Wait a minute—what is this? So I just think it’s our culture. And I think that we accept it as the normal part of life, and we don’t question it because nobody’s questioning it. For me, I really love these hair extensions. I love them. I love makeup, and I love cute clothes and all the things, but I don’t for one second think that you need to have that. I don’t think you even need to be interested in it. It’s just this fun thing that I do. But that’s balanced with—it’s super important to me that if you see my Instagram with pictures where my hair looks super shiny and I’m in a cute outfit, you also see just as many posts that I’m putting out into the world where I look like garbage and my hair is in a bun. I haven’t showered in three days, and I’m like barely surviving with my children. I think it’s just it’s just showing real life. Part of the intention behind writing [Girl, Wash Your Face] was I wanted to tell you what I had walked through. I feel like it’s really easy for me to stand on stage give a keynote, or watch my YouTube or whatever and hear me talk about motivating yourself to get back on the wagon, or trying again, or not giving up on your dreams. And I get the notes that there would be people who would say, Well, that’s easy for you to say with your house and your husband and your company and this. If I never told you what I have to go through to get here, you might be able to have that be your excuse because that’s what you’re looking for. If you were attacking someone else and say, It’s not hard for you. You’ve got it all figured out. Well, you want the excuse for why I’ve managed to do it and you have not. So, if I can tell you that I have a high school diploma and I’ve built all this. If I can tell you the trauma of my childhood, if I could tell you the really crappy, hard things that I’ve lived through, and not only did I bounce back, but that I am reaching for joy every day. Despite what I’ve gone through and despite what will happen, even if there’s hard times—this is life. As long I’m alive, hard crap is going to show up. But I have trained myself to rebound, to reach for good things. I think how you start your day is the most important choice that you can make in your whole life. Then you come back at the end of the day, and you say three things you’re grateful for, something you could have done better, and then an affirmation. It’s just setting that intention in the morning setting it at night. I wake up super early—I’m like a 5 a.m. kind of girl because that’s my time before my kids wake up. It’s one of the things that I most recommend to other women is getting up an hour before your kids so you’re starting the day on offense instead of defense. But taking that time to pray, to meditate, to work out, to do something for yourself, to center yourself to remind you who you are who you want to be where you’re going. When I sat down in the beginning of this year, I did something I’d never done before that was super helpful. I audited my calendar from 2017. It took me about three hours. I went through every single appointment that I had in 2017, and I wrote down basically how I’m spending my time. I was really clear with myself about, Okay, what were the things that I think were a waste of time, a waste of money, a waste of energy? And there were a lot. And what are the things that I really value? Date nights with my husband. Vacations with my kids. A spa day, to go get a massage. Dinners with my girlfriends. Those things that I really care about, I want to build my calendar around those things. I want to build my calendar intentionally around the person I want to be, not who everyone else keeps trying to pull me to be. I heard someone say, and I don’t remember who, but there’s nothing on your calendar that you didn’t put there or you don’t allow to be there. And women struggle so much with saying ‘no’ because you want to please everyone. I’m going to take care of everyone. If they ask you to volunteer at your kid’s school, you’ve got to do it and show up at church—you’ve got to do. All this stuff. Make sure that you are really thoughtful about what’s on your calendar, what’s in your life, who you’re showing up as. Because I think otherwise, it just gets away from you—even if you’re a stay-at-home mom. It just gets away from you. All of the sudden, the weeks went by, or months went by. You’re like, Wait a minute, where am I in all of this? So the greatest lesson, gift, tool in my life—this is nothing new, we’ve all heard it a million times. Oprah told us this 25 years ago. Every single day of my life—every single day—I make a list of 10 things that I’m grateful for, every single day. And the piece of advice I always give to anyone who’s trying this for the first time is: do not make a list of big things. Don’t say, I’m grateful for my husband, I’m grateful for my job. Make a list of things that happened to you that day that you can feel gratitude over. Because if you know at the end of your day that you’re going to have to write down ten things, you will spend your day looking for blessings. You spend your day noticing a gorgeous sunset, appreciating a cup of coffee that you have in the morning. Being grateful that you got to giggle with your friend on the phone. It changes your perspective—it changes everything. I believe that you choose your attitude. Every morning, you choose your attitude. I did this last night was falling asleep in bed, and I started to have anxiety attacks. I have suffered from anxiety for a long time. And by the way gratitude—it sounds so cheesy, but gratitude is truly how I got past anxiety. So as I’m falling asleep last night, I start to have anxiety. It’s a trigger for me. Now we’re going to do some meditation, or do some prayer on things we’re grateful for. And I made myself last night as I’m falling asleep, I’m like, Remember when I got home and Noah screamed because she was so excited to see me? That’s my daughter. And remember the hug that Ford gave you? That’s my son. And remember how Dave brought you a cup of coffee this morning, and remember how you got to talk to your girlfriend on the phone? I just started to fall asleep and the anxiety crept up. I was like, No, you’ve got to keep going. Tonight we’re going to do 20 things. It’s such a powerful tool for me because no matter what season you’re in–and I have done this in really, really hard seasons–there’s always something to be grateful for. There’s always something to be joyful for. I mean if someone is listening to this podcast or watching the video, that means you’ve got a phone or computer, and that means you have access to the internet. That means you are doing better than 99 percent of the world’s population. You have things to be grateful for. So gratitude is a really big part of my perspective and my attitude, and I just carry it with me every day. We had a very long process to get through adoption to get our daughter. And we had, the year previous, been placed with newborn twins that we had for a month and a half that we thought were our daughters. We were adopting them. They didn’t have names, but they were my daughters. Six weeks in, their biological father came back and decided that he wanted them, and we lost them. In that season, one of the hardest experiences in my adult life, it felt like my child had died. I don’t mean to be disrespectful to anyone who’s lost a child. But I had these babies and they were mine, and then they were gone. And I didn’t know, Are they being fed the right way? Are they on the schedule? Are they cold? It was horrible. It was a horrible experience. That was one of the hardest seasons of my faith journey in my entire life, because I felt like I kept saying, We are here because you called us here. God, you called us here. You called us here. And the song that would cling to for four years as we went through this journey was “Oceans.” There’s a sign, You called me out upon the waters. It just was like, You called us out upon the waters, and you left us here. And where are you, where are you, where are you? And without thinking about it, I could feel the feeling of the babies asleep on my chest when I brought them home from the hospital. And it was the first time that I could understand that you could have gratitude for something horrible that happened. I had never been able to feel joy about that experience after it happened. And in that moment I realized, Oh my gosh, there was so much blessing in this, for the time that you were together. You were so blessed to have them in your home. I have to believe there was a reason they were there for that time. I have to believe they are exactly where they’re meant to be, and I have to believe that I’m a better person, that my husband’s a better father, that we a better couple, that we’re a better family. All of these things because of that time that I had those babies and that feeling of them on my chest. I was able to feel grateful for something hard. So that has been a really big lesson in my life. The experience was so horrible. It was brutal, it was so hard. And now of course, again, it’s one of those things I look back and I’m like, Oh, you were lining it up just so, so perfectly. I’ll tell you the end of that story, as I’m walking through that season of, Where are you, where are you? You called me on the water, and you’ve left me. We had started an adoption in Ethiopia. We were in the program for a year and a half, two years. It closes down. So it’s a failed adoption. We had girls in foster care there in our home, and they end up leaving. So at this point, five girls have cycled through our lives. And after the twins left, I was like, I’m done. Maybe we’re just supposed to be happy with our sons. We are so blessed. I didn’t feel like I could do anything. I couldn’t function. I literally cried all day long. I’d come to my office, I’d close the door and cry. I would take care of my kids at home, and I’d go in my bathroom and sob. I lost a ton of weight. I just couldn’t couldn’t get past it. And I always tell this story, because I want to give him credit for this time. In the adoption process, it’s usually the mom that kind of pulls you in, and the dad kind of goes along for the ride. And this man slams his hand on our table and he says, “I’m so sorry. I’m so sorry to interrupt you. I have to.” And he’s stumbling over his words. He says, “I’m adopted, and my parents lost children in the adoption process. And if they had not kept moving forward, I would not be sitting at this table, and I would not have met my wife, and I wouldn’t have graduated from college,” He starts listing all of his accomplishments. He says, “You can’t give up. You can’t give up. You have to keep going. You have to keep going.” And his name was Noah. So I’d been crying for three months. He called us out upon the water, and He left us here. Then He sent us Noah. That’s why our daughter is named Noah, because it was a stranger that day at the restaurant who slammed his hand on the table and told us to keep walking forward in faith. We finished lunch. And I’m waiting in line to get my car, and I just heard God speak to me, like, I am here. I have always been here. Sometimes it’s harder to see, but I’m always with you. 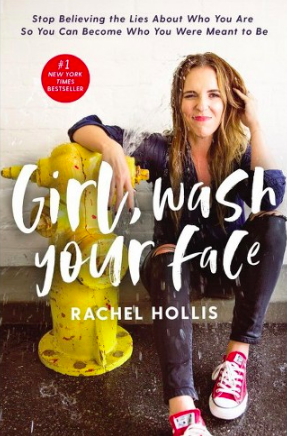 Narrator: Rachel’s bestselling book, Girl, Wash Your Face, is available wherever books are sold. Narrator: We’ll be right back after a brief message about a free offer from Jesus Calling. 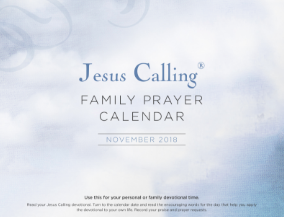 Download this FREE Jesus Calling Daily Prayer Calendar which works with your Jesus Calling devotional. Each day begins with a guided reflection followed by space for prayers of thanksgiving and special requests. Narrator: Our next guest is Gil Schaenzle, a tireless advocate for cancer awareness. 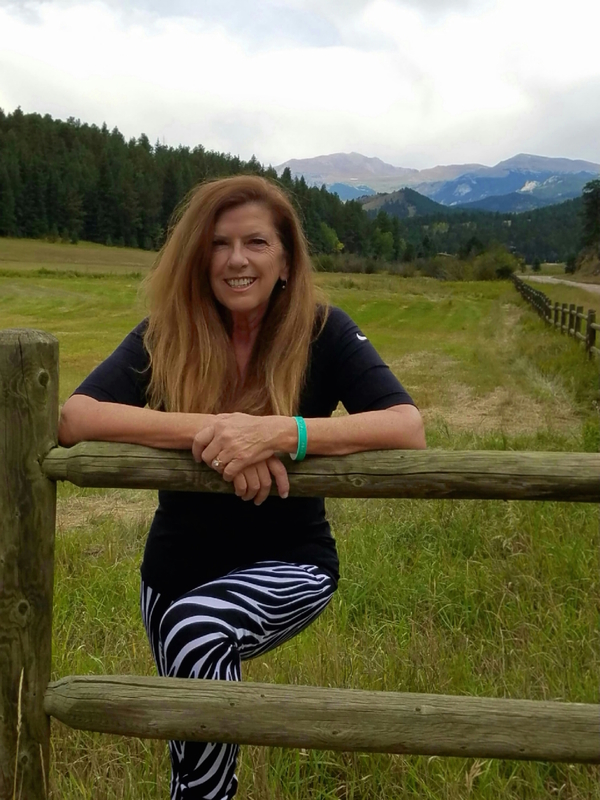 When Gil’s daughter Anna was just 20, she was diagnosed with an aggressive form of neuroendocrine cancer and passed away just nine months later. 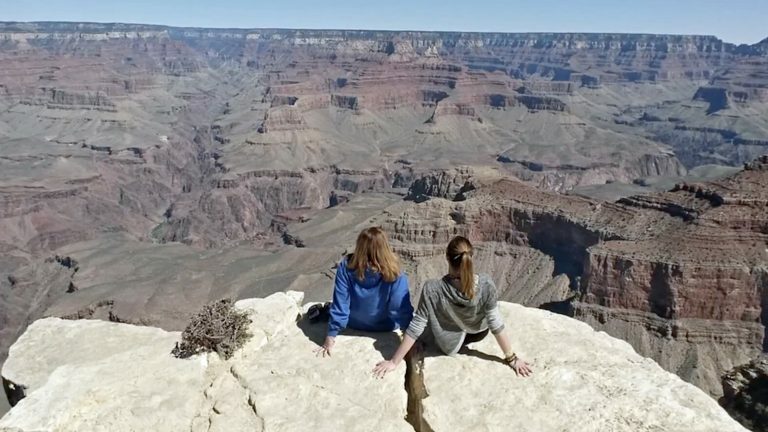 To raise awareness for the horrific disease, Gil decided to run through all fifty U.S. National Parks in just nine months, a dream she and Anna shared together. Today, Gil tells us about her daughter and their dream, and how she finds the strength every day to press on in her memory. Gil Schaenzle: My name is Gil Schaenzle. I live in Evergreen, Colorado, and I’m almost 62 years old. I was honored and blessed and humbled to be Anna’s mom for the 21 years that we had at her. When Anna was born, I was 40 when she was born, which is later in life, but I had a lot of adventures in my life I wanted to get out of the way before I had children. We just never had any trouble with her. She was just this wonderful kid. She was a good little volleyball player in high school, got straight A’s. She just didn’t give up. It didn’t matter what it was, if it was volleyball or life or studies or whatever—she just didn’t give up. She had this tenacity. And of course, as a toddler that’s a very annoying thing. But like I always tell people in parenting, you want to nurture that in a child. There is a reason your child is like that. Do not squelch that. If you take that child and treasure their heart and romance their heart, you will help them find their purpose in life. Anna loved people, and she challenged everyone’s thinking. If she thought you were being racist or sexist or anything that was discriminating, she would call you out on it and say, “You know, how would you feel if that was you?” She would just really challenge your thinking—not just her parents, but everybody. She loved to mentor other young girls coming up in volleyball, that that was a big piece of her heart. She loved nature and just was an amazing kid. She had such a wonderful sense of humor. She could take the most sensitive thing and turn it into something hysterical. I miss those things about her. Narration: Anna started coming home from track and volleyball practice with strange symptoms—first with numbness in her legs, then fainting spells and heart issues. 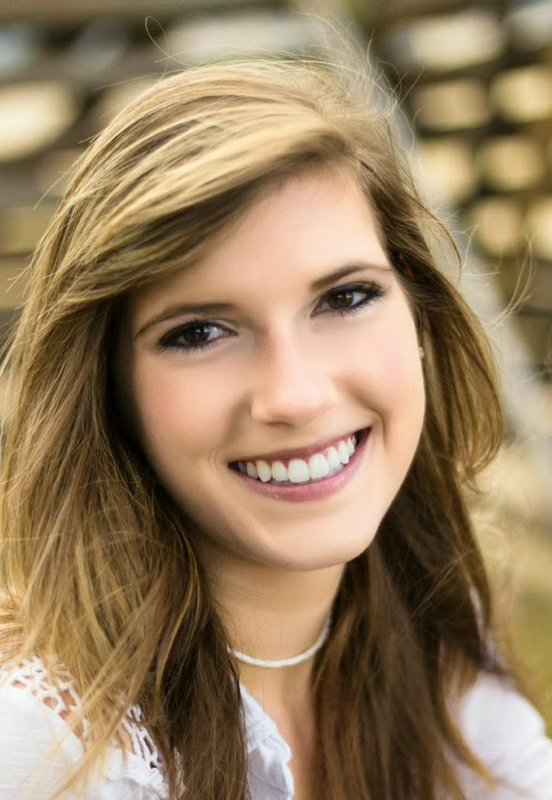 After visiting several doctors, Anna was finally diagnosed with neuroendrocrine cancer, also known as NET cancer. She was only 20 years old. Gil: This is what NET cancer, neuroendocrine tumor cancer, is about. It will typically be a whole bunch of unrelated, seemingly benign health incidents. People will get asthma. They’ll get thyroid problems. They’ll get insomnia. They’ll get irritable bowel. They’ll have tummy troubles. They’ll go on and on and on and on. And they all seem like very unrelated items that can be treated easily with an inhaler, a pill. It’s not until later that all the dots start connecting with a proper diagnosis, which in the case of neuroendocrine cancer, seems to be about five to seven years before that happens, which are critical years that should be treated with the proper treatment. And if they are, there’s a very good chance that you can go on and live many years and have that time with your family to enjoy those times. Anna’s was super aggressive, and she did not have that time. By the time we put the dots together, she died nine months later. The night Anna died, we had her in bed between us, knowing that it wasn’t going to be long and not wanting to say goodbye to her. And we had been told that her breathing would get slower and slower and slower. But in the middle of the night, something happened and her breathing started becoming more normal. And I was like, Did we get our miracle? I was like scared to me was scared to turn on the light. And then all of a sudden, something wasn’t right. So we did turn on the lights and sit her up a little bit more and realized that was the moment that we’d all been dreading. She hadn’t been able to open her eyes properly for two or three days. She opened her eyes and she looked up in our bedroom where at the ceiling and the wall meet, and she was almost smiling. I mean, I could tell there was a serene look on her face, and she saw something, something wonderful. And I said, “Honey, look at Mama, look at Mama,” because I just needed one more glance from her. But she couldn’t. She couldn’t look at me. She just kept looking at this spot, and then she was gone. And then in that very moment, I’m still holding her and looking at her face, just inches from her. But somehow, I could see behind me at the same moment, and it was that same spot. And it was her. But her hair was gorgeous again, and she looked so beautiful and so perfect. And so I knew she was safe, tucked in beside Jesus, and that she was okay. From the time of her diagnosis until the time she went to be with Jesus, my prayer was, “God, please just give it to me. Give it to me. Let her be, and I’ll take this gladly.” And that didn’t happen. So then after she passed my prayer became, “God, please just take my brokenness and use it to help somebody else. That’s all I ask. I know I’m never going to be right again, but use that. Use that weakness that brokenness to help heal somebody else. I had been running half marathons and broke my ankle in a half marathon in Yuma, Arizona. So I was rehabbing from that and you know really feeling quite sorry for myself that I couldn’t get out and run. And then I thought, You know, I think maybe I want to get off the race circuit a little while and get back into nature. So I thought, I’d think I’d like to run in all the national parks. I just kept that to myself for quite some time while I was doing PT. And then Anna became diagnosed, and that was totally out of my brain for quite some time. I was like, “Oh, really?” It was a pretty flat turn down. Then it became evident that she wasn’t going to be getting better. And so I put it on the back burner again. Then it was like one those shoulder taps you get from God. After she went to go be with Him, I got another one and it was like, Maybe you need to do this. This felt like unfinished business. And its was sitting there in the back of my mind that, Maybe maybe this could be used to help NET patients since some way shape or form. I didn’t know what that was going to look like. You know I’ve never taken on anything like this before. I mentioned it to her surgeon, Dr. Eric Lu, and he said, “Oh, you’ve got to talk to the head of the Healing NET Foundation.” He’s the chief medical officer for the Healing NET Foundation. I think, This is something, so he put me in touch with Cindy Lovelace, who is the CEO and a NET patient. She gets this because she’s living with it every day. That’s that’s kind of how it all started. And we decided to start it on November 10th last year, which was National Neuroendocrine Tumor Awareness Day, and I started at Mammoth Cave, Kentucky. It kind of became evident that I was nine months figured heavily somehow into this, and I wasn’t sure how it did. But then it hit me one night in my tent that I carried Anna for nine months. 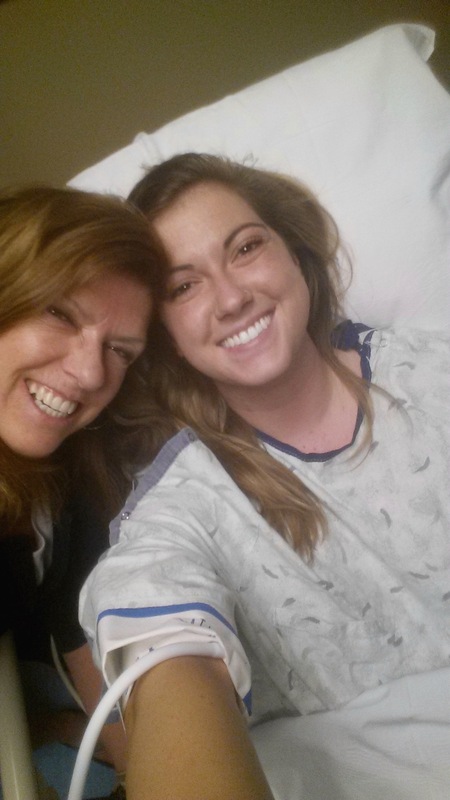 It was nine months from her diagnosis until her getting her wings. And it was nine months after her getting her wings to when I started this. And so I determined that I was going to finish it nine months. 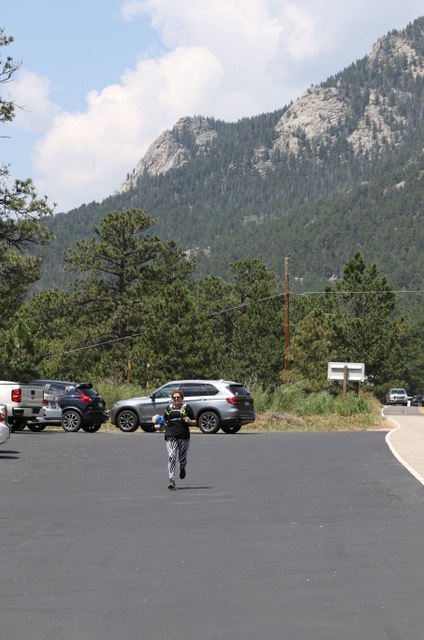 And 268 days later, I crossed the finish line in Rocky Mountain National Park, 50 parks later. I get the question all the time: “Where have you found the strength to go out and travel 42,000 miles and run over 350 miles?” It’s like, it’s not mine. 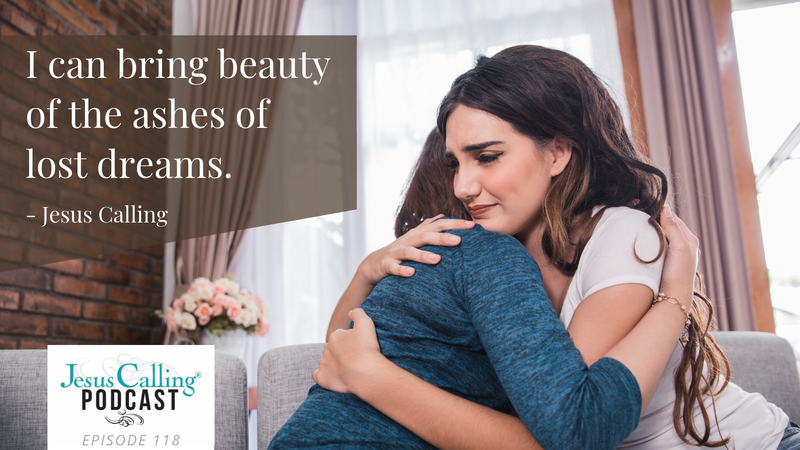 If you knew anything about grieving parents, you would know that I have not one ounce of my own strength. This is all God and Anna. This has had a divine hand on it from the very beginning, and I take absolutely no credit for this. Being out in nature, it was created by God, and it’s a place where we go when we need to unplug from what the world’s yacking in our ear. And we need to get out there and be alone and really listen. And we all just talk like we’ve all got cups of coffee sitting down and yacking about it. And you know, it’s just that wonderful time of plugging into heaven instead of the earth. And it’s a great place of solace and comfort. One of the perks of doing this was that my faith in humanity is restored again. It couldn’t not, I still can’t bear to watch the news. If I hear anything that’s happened to a child or something unjust, I just kind of fall apart. And being out there, not hearing the news is a wonderful thing. I would highly recommend for anybody at least a week of it, if you can. It helped me so much to connect with people on a personal level. One woman in Big Bend, we were just sharing a cup of coffee on the patio. She was injured and couldn’t hike, and I had just come back. And she got to asking about the zebra tights that I wear, and I told the story. And she was painting a little watercolor of the scenery we were looking at, and she gave it to me at the end, and she said, “Gil, your daughter is just on the other side at the curtain. You can’t see her, but she’s right here.” That was just really big comfort to me. Narrator: One of the Jesus Calling passages that was a great comfort to Gil in her darkest hours was from August 28. In her honor, we present this passage to you from the Jesus Calling Audiobook. Jesus Calling Audiobook: Grow strong in the light of My Presence. As My Face shines upon you, you receive nutrients that enhance your growth in grace. I designed you to commune with me face to Face, and this interaction strengthens your soul. Such communion provides a tiny glimpse of what awaits you in heaven, where all barriers between you and My Glory will be removed. This meditative time with Me blesses you doubly: You experience My Presence here and now, and you are refreshed by the hope of heaven, where you will know Me in ecstatic Joy. Gil: After Anna passed, a friend of mine gave me a copy and she said, “I just think it will be a comfort to you.” And it has been. It’s been a lovely comfort. A lot of the lessons that I have been learning from it this year have been to just be in the presence of God. Just be there. Don’t ask a bunch of questions. Just be there and just be held. Your future feels gone when you lose your child. And I have often said since her passing that I feel like I have one foot in heaven already and one foot here, and I feel a little caught in between. And I think initially it felt kind of like a curse, like, I can’t think of all the things I need to do here because my heart’s already over there. You know, my heart went with my baby. And so that was a very awkward feeling for many months. Now it’s starting to feel more of a blessing in that God has let me have a little taste of what’s waiting. And it’s pretty wonderful. Narrator: To learn more about Gil’s run and the Healing NET Foundation, please visit thehealingnet.org. 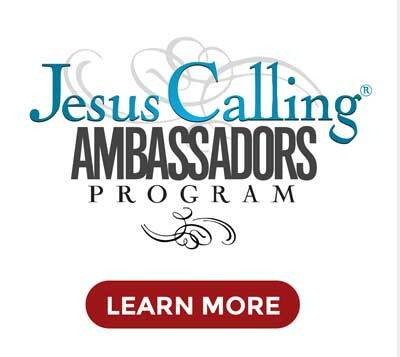 Narrator: Next time on the Jesus Calling Podcast, we visit with country music superstar Josh Turner as he tells us about his brand new gospel record, I Serve a Savior, and why he feels so passionate about using his fame for good. Josh Turner: I’ve felt like there was always a specific purpose for me to get into the music business. And so, this hasn’t been about me even from day one. When I was a lot younger, that appealed to me, the whole fame and fortune aspect of it. But as I started walking through it, the Lord kept showing me that this is really not about me. This is about the people that can or will be influenced by way of the talent that He’s given me.